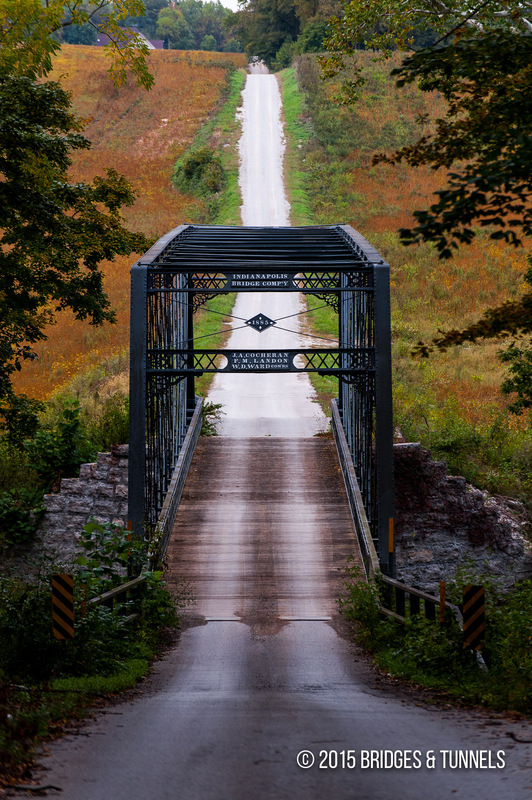 The bridge is located on the former Lexington-Saluda Highway and was a former through route. In 1884, M.J. Tobias and his neighbors had convinced the Jefferson County Commissioners to construct a bridge over Big Creek.3 Tobias had donated the stone for the abutment. James Walker was hired to construct the substructure who unfortunately discovered quicksand below the bed of Big Creek. After consultations with an engineer, he petitioned to perform additional wet excavation of the creek down to solid rock at a rate of $1 per cubic yard. Over 1,000 cubic yards of limestone was brought in for the task. 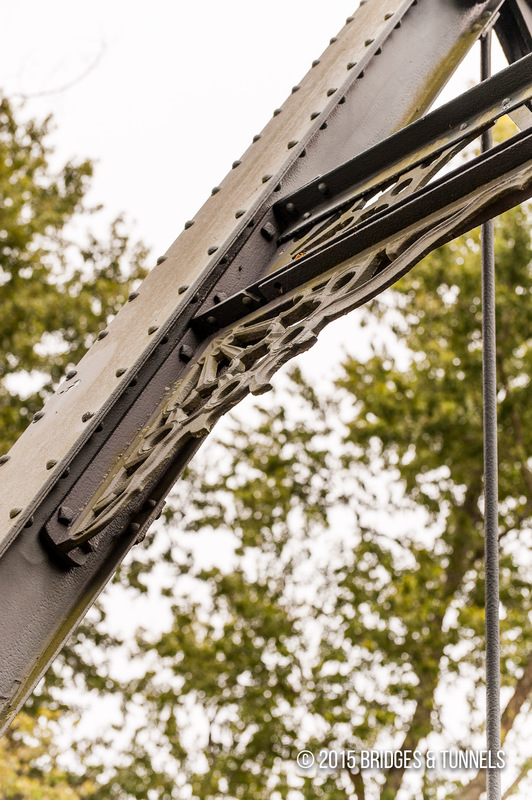 The Indianapolis Bridge Company shipped the superstructure in pieces and had it transferred to nearby Deputy by rail.3 It was divided into 13 panels 12-feet in length, and although in total they weighed 58,000 pounds, it only took two weeks to reassemble the bridge. 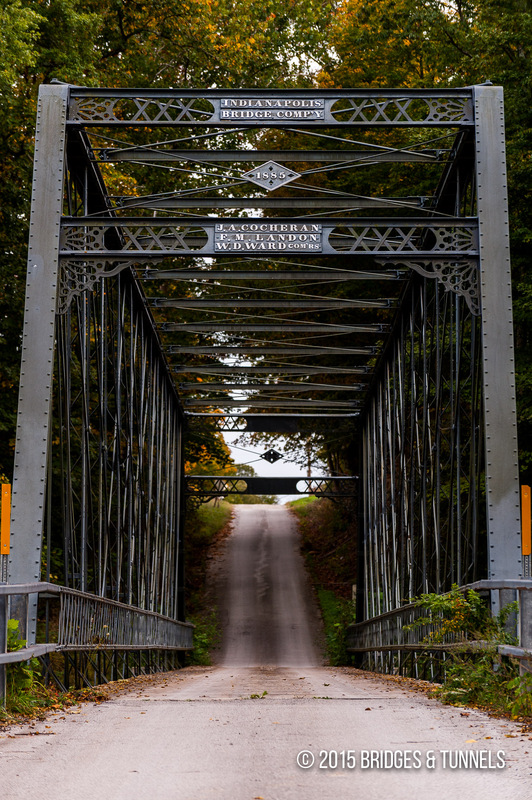 By the 2000s, the bridge had deteriorated and its weight limit was only a mere three tons.2 The bridge was slated for demolition and replacement until County Engineer Jim Olson was notified.3 He conferred with Greencastle preservationist James Cooper and J.A. 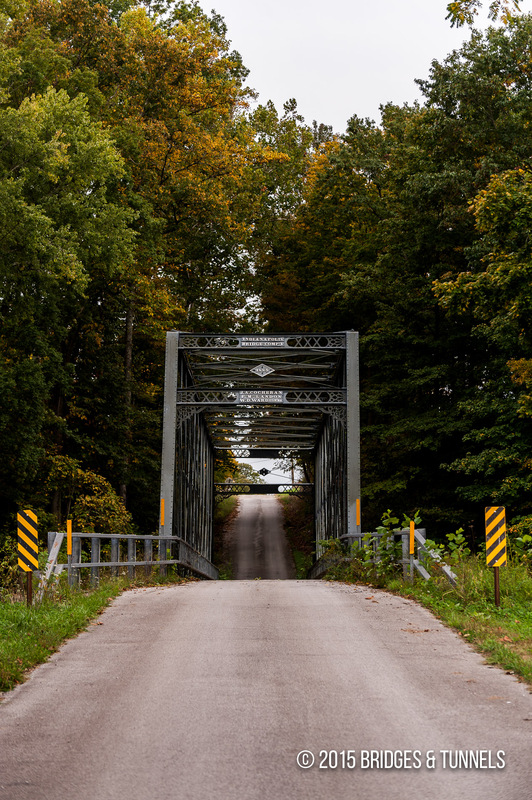 Barker of Bloomington to develop a cost estimate for rehabilitation of the bridge. 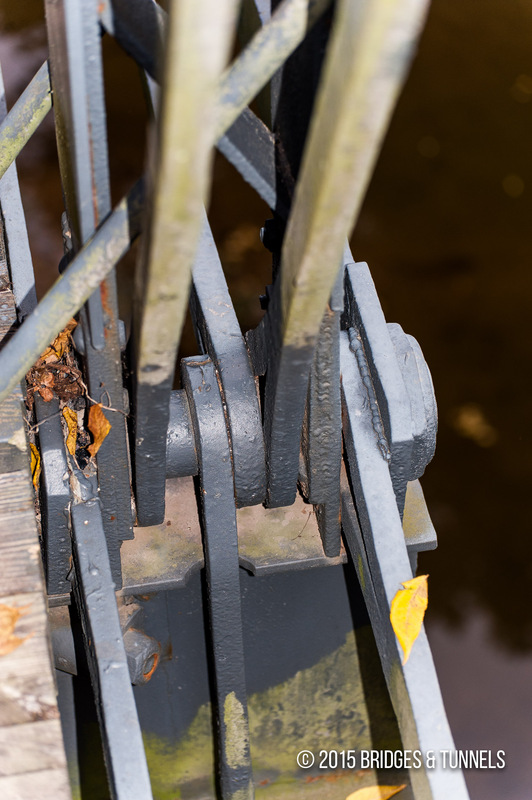 The Tobias Bridge, despite its low weight limit, had a good stone foundation and original ironwork. When the cost estimates came in below expectations, it was decided that the span would be restored instead of demolished. On October 23, 2004, the rehabilitated Tobias Bridge was unveiled.3 The 110-year-old crossing was restored for $900,000, or half the cost of a new concrete bridge, with the project designed by J.A. Barker Engineering 2 and actual reconstruction work performed by Gohman Construction Company of Sellersburg.3 Work included increasing the load capacity of the span and to repair bent or bowed verticals. 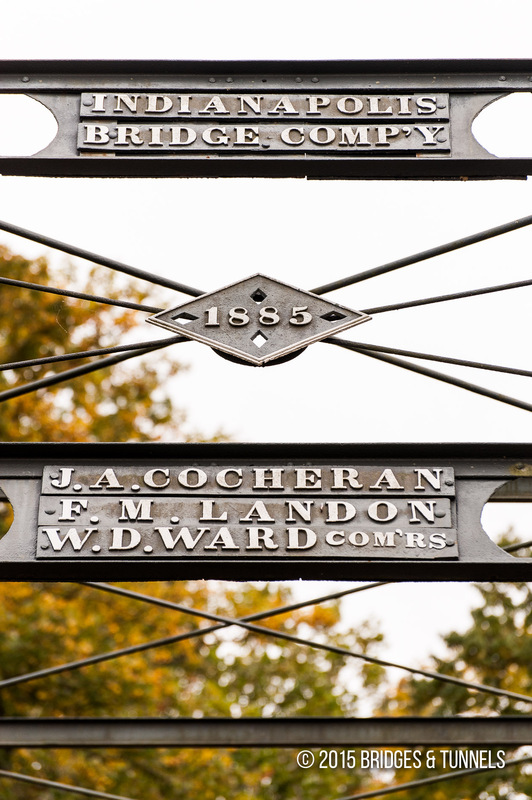 The decision was made to install additional plates on the outside of each vertical connected with high strength button head bolts that resemble the original hot rivets, to heat strengthen out-of-plane members, welding the lattice railings to modern tubular railings for safety, repairing ornamental portal braces and cleaning and painting the bridge. “Tobias Bridge.” HistoricBridges.org. N.p., n.d. Web. 1 Nov. 2012. Article. 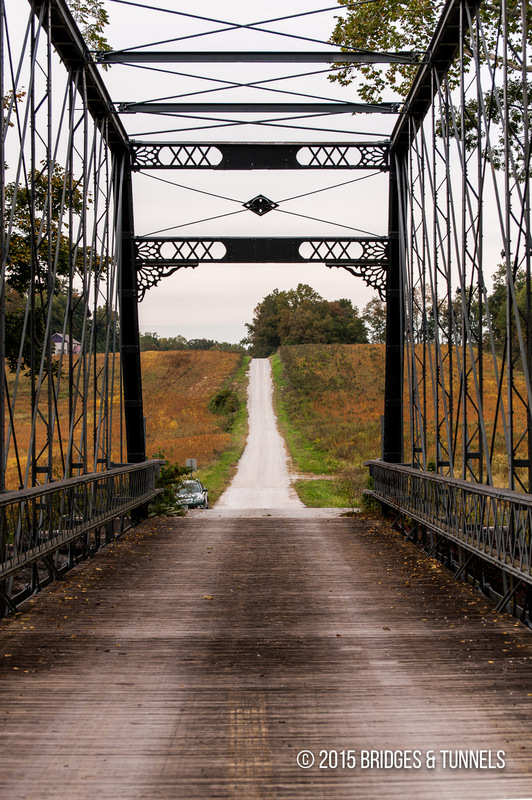 CASE STUDIES ON THE REHABILATION OF HISTORIC BRIDGES: Tobias Bridge, Jefferson County, Indiana. Rio Rancho, NM: The SRI Foundation, 2011. Print. Sparks, Laurel. 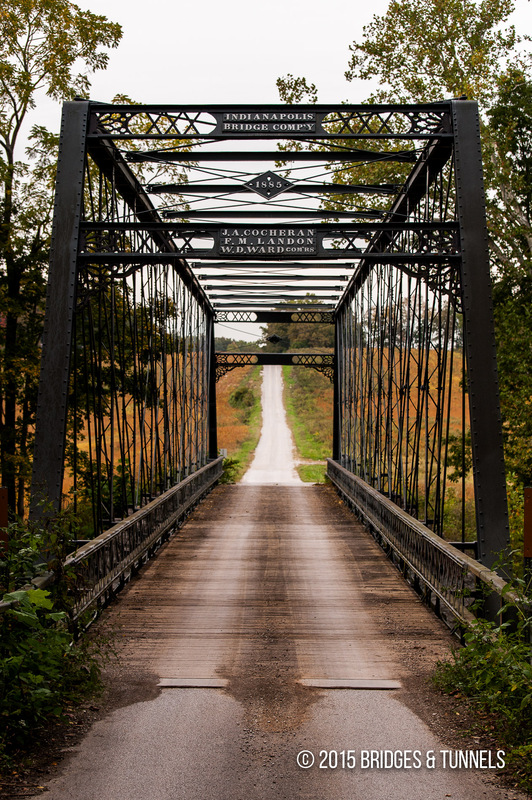 “Local group saves historic bridge in Deputy from the wrecking ball.” RoundAbout [Madison] Dec. 2004: n. pag. Web. 1 Nov. 2012. Article.